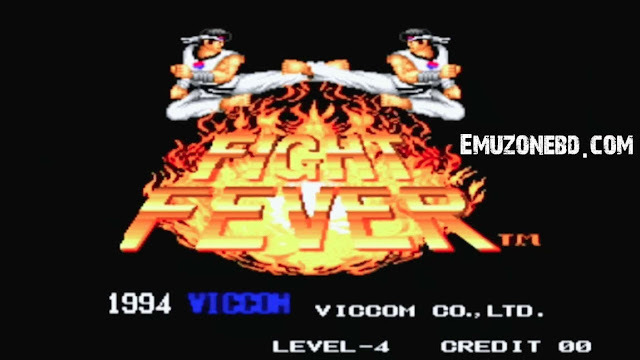 Fight Fever Neo Geo Rom Game, play with the emulator in your Computer free with easy instruction and download link. 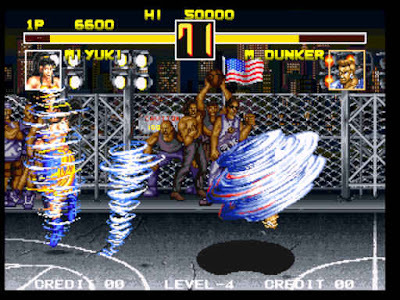 One of the best neo geo rom game for Computer Fight Fever where you have to play with limited 10 players where you have to defeat the opponent with your gaming skill. 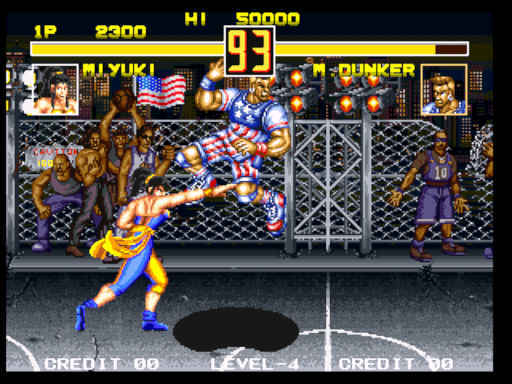 This is a fighting game like The King Of Fighters 97 where you can play with your friend via GamePad. But the difference is you have to play with only one player here. Han Baedal - The protagonist of the game. A taekwondo exponent who appears to be a cross between Ryu and Ryo Sakazaki. Miyuki - A dancer and only female character in the game. Rophen Heimer - A German bartender and martial artist. Magic Dunker - A basketball player who is most likely named after Magic Johnson. Golrio - A fat indigenous Brazilian warrior with the ability to throw fireballs and spin around quickly against his opponents. Nick Commando - A largely masked soldier who can throw grenades and charge at the foe. China Chintao - A Chinese martial monk. Kim Hoon - A palette-edit, semi-clone, and rival of Han Baedal. Master Taekuk - An old taekwondo master who can stretch out his arms and slam the opponent. Karate Kenji - The final boss of the game. He was voiced by Masaki Usui, who also voiced Ryo Sakazaki from the Art of Fighting series and Haohmaru from the Samurai Showdown series. You can select any of them but the limitation is you can select only one player from them. Learn the basic fighting skill to win a match. 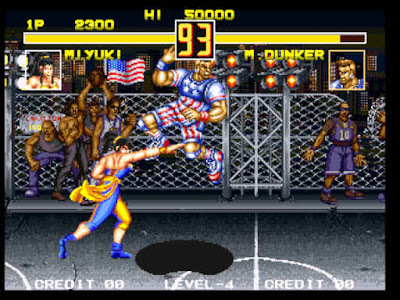 You can also download another fighting game Double Dragon Neo Geo game which is the more addictive game and also playable in Android Mobile. As this is a multiplayer game you can challenge your friend and play with GamePad. Show your friend your gaming Skill by defeating him. But if you like a friendly game then try Spin Master Miracle Adventure for your Computer or Android. All the player of this game come from different countries and they have different fighting skill. 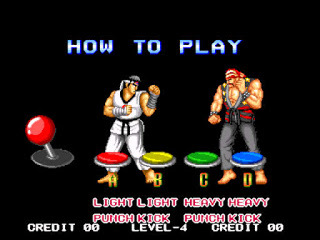 Play, again and again, to know their skill and also you can use special movement as you maximize your power bar. Extract it and you will get some files and folder, don't change them. Then click on NeoRAGEx5.0.exe and open it. Click on Import and find Fight Fever. If you have done same as instruction then it will display as light grey color. Now click on it and hit the Launch button and enjoy it in your PC.